MOZA Air ‘Move-Shot-Move’ system for advanced motion time-lapse. 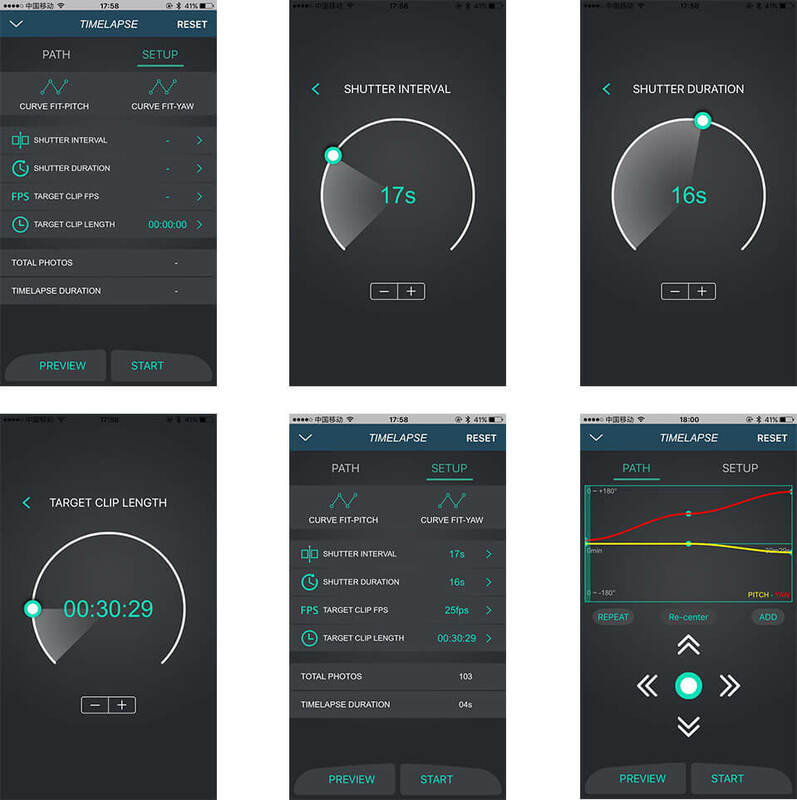 The MOZA Air and MOZA Assistant work together to control shutter interval and shutter duration. The MOZA Air will hold the camera still actuate the shutter before it moves the camera for another shot. With long exposure time-lapse, you can a star motion time-lapse video or any other kind of night motion time-lapse. MOZA Air can support a wide range of cameras to motion timelapse video. All you need is to do first is to connect your camera to the gimbal with control cable and optional adapter. Balance the camera on the MOZA Air and secure it on a tripod on a stable surface. Use included control cables to connect the your camera to the gimbal. Turn on Bluetooth first. Then open the MOZA Assistant App on your phone. Slide the product menu in the App to choose the MOZA Air. Click "Search", the App will detect your gimbal automatically. Choose your gimbal to connect. Step 4: Enter the Timelapse Mode to Set. Click the low right icon as shown above to enter the Timelapse interface, click SETUP icon to set relevant parameters. 4.Target Clip Length: the total time spent for the entire motion timelapse. Click "Path" icon to enter the following path setting interface. Set the key frame (target position) through the app interface or the joystick of the handgrip, move to the desired point and click ADD icon after confirmation, which will be added to the final path, the next key frame successively till all the key frames ions are complete (at least two and up to eight key frames need to be ed, 5 key frames are ed as below, and curve fitting mode for pitch axis and linear for yaw). 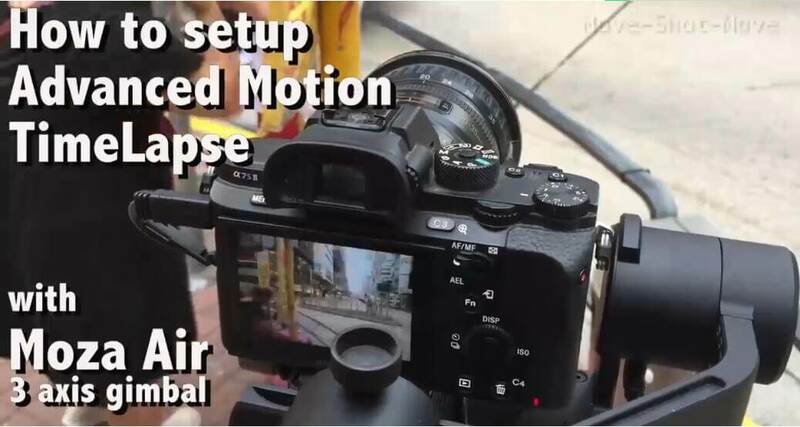 Click 'Preview' to confirm the gimbal’s movement or 'Start', to begin the time-lapse.